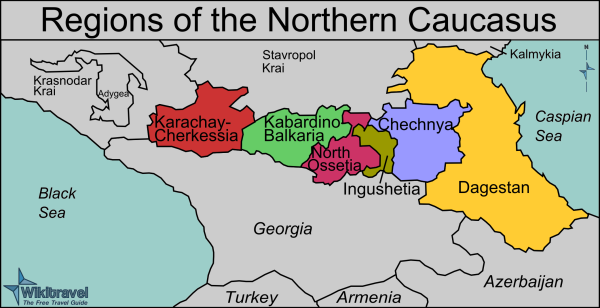 In August 2006, the Russian Interior Ministry (MVD) announced changes in the security structure of the North Caucasus that would dissolve the Regional Operational Headquarters responsible for counter-terrorism, replacing it with a series of local operational headquarters in the Southern Federal District led by MVD officers. The order ensures that operational control of the region’s security element will remain under centralized MVD leadership even as the Kremlin pursues a planned withdrawal of temporarily based federal troops of the Defence Ministry and soldiers of the Interior Ministry from the region (Delo, St. Petersburg, August 26, 2006). 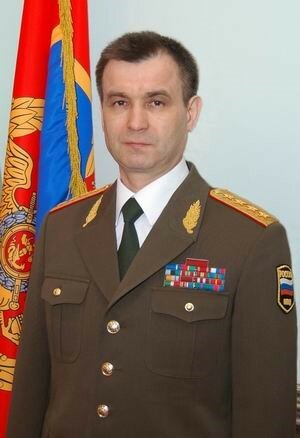 Russian Interior Minister Colonel-General Rashid Gumarovich Nurgaliyev will head the new network, with direct administration handled by Deputy Minister General Arkadi Yedelev. 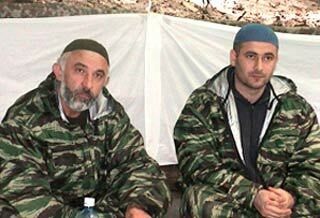 The Ministry cites significant improvements in security since the death of Chechen warlord Shamyl Basaev in July, but the administrative reforms are unwelcome in the pro-Russian Chechen government, which seeks to take responsibility for its own security. Russian counter-terrorism operations in the North Caucasus have been plagued by overlapping responsibilities and jurisdictions amongst the many security agencies at work there, most notably the FSB (successor to the KGB), the GRU (military intelligence) and the MVD, all of which have a historical tendency dating from Soviet days to deal with each other as rivals rather than as allies. The scandalous failure of the security services at Beslan finally brought home the need for coordinated activity in the Caucasus. 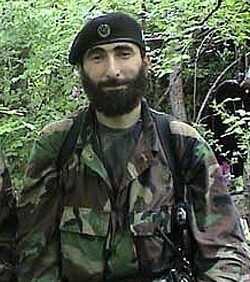 In December 2005, a parliamentary commission found that Nurgaliyev had sent warnings to the North Ossetia MVD warning it of terrorist attacks just prior to the Beslan massacre. The finding contrasted with widespread calls for Nurgaliyev’s resignation for his on-the-scene management of the disastrous response of the MVD and other security units to the mass hostage taking. 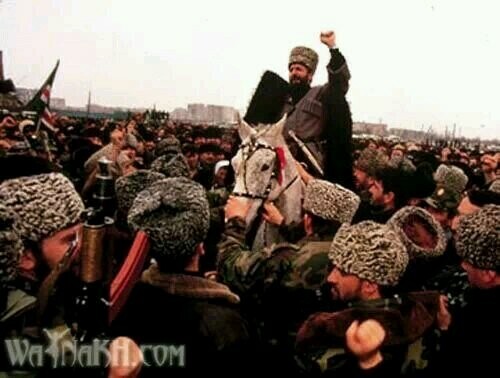 Born in 1956, Nurgaliyev is a Volga Tatar and the highest-ranking Muslim in the administration of the Russian Federation (AIS Update: Nurgaliyev was reported to have converted to Orthodox Christianity sometime in 2006 – http://www.islamnews.ru/news-8292.html ). After joining the FSB in 1981, Nurgaliyev made a career in that organization, picking up a Ph.D. in economics along the way. His appointment in March 9, 2004 to head of the Interior Ministry was expected to herald a series of much-needed reforms, but the new minister carried out few changes in his first year. Nurgaliyev has come under attack from Russian human rights activists for his ministry’s use of random and unproductive violence, illegal detentions and a “cynical abasement of human dignity” (Kavkazky Uzel, October 5, 2005). His predecessor, Boris Gryzlov, was sacked after the tragic mishandling of the Nord-Ost Theatre crisis in October 2003. In October 2005, Nurgaliyev described widespread corruption in MVD police forces as a threat to the nation’s internal security and damaging to the public’s trust in the security apparatus. Police procedure was described as ‘rife with violations’ including falsification of data (RIA Novosti, October 26, 2005). Nurgaliyev outlined some of the difficulties preventing efficient Interior Ministry operations in a speech last year: “The expertise of the militia [police] offices and interior troops has not been able to meet modern requirements. Working for militia forces has not become prestigious, which leads to the considerable turnover of employees, a weaker professional backbone and fewer people eager to take up vacant positions” (MVD website, August 28, 2005). The conscripts of the MVD militias are notoriously low-paid, almost ensuring corruption as first, a means of survival, and later as a means of enrichment. The Russian Ministry of the Interior is responsible for public security tasks, emergency relief, narcotics control and the prevention of internal disorder. Nearly all police agencies in Russia come under MVD control. The Ministry also maintains its own army, the “Vnutrennie Voyska” (Internal Corps), a lighter-armed version of the armed forces of the Defence Ministry. There are also Special Purpose Detachments of Militia (OMON), which have handled much of the fighting in Chechnya, as well as the elite Special Rapid Reaction Units (SOBR). In the North Caucasus there are twelve Operational Management Groups (GrOU), all commanded by MVD colonels. Each GrOU includes MVD, Defence Ministry and Emergencies Ministry personnel, with the MVD commander subordinate in terrorism matters only to the local governor. Under the administrative reforms, the GrOU groups have been removed from local control and are now attached to the MVD’s regional operational headquarters. Governors no longer head counter-terrorist operations in their republics, but are now part of the operational headquarters under MVD leadership. Nurgaliyev has promised a more intelligent war against the “international terrorists” he suggests are trying to create “acute crisis conditions” to precipitate the break-up of the Russian Federation (RIA Novosti, February 16, 2005). The Interior Ministry is exploring new methods of fighting the insurgents in the North Caucasus, including the creation of databases, the monitoring of nearly 200 websites, sting operations, more critical analysis and the elimination of financing networks for armed groups. He added, “[Modern terrorism] is not just a military movement. It is also an ideological, social and moral phenomenon. So we should fight accordingly–not just with force but psychological, ideological and economic instruments, too…Law enforcement agencies will not weed out the ideological roots of crime, terrorism and youth extremism if they use nothing but force to fight against these phenomena” (Rossiiskaya Gazeta, September 29, 2005). The Interior Ministry chief is also interested in expanding cooperative security efforts between the MVD and its equivalent ministries in the CIS. 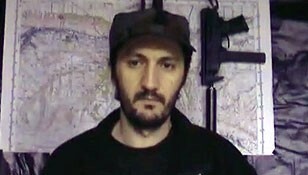 In April 2005, Nurgaliyev used a meeting of CIS Interior Ministers in Minsk to announce the successful prevention of attacks by a Central Asian based terrorist organization through the cooperation of the Interior Ministries of Russia, Kazakhstan, Tajikistan, and Uzbekistan (Interfax, April 21, 2005). After a meeting with Chinese authorities in March 2006, General Nurgaliyev announced that large-scale joint counter-terrorism exercises would be held with Chinese Special Forces in the Southern Federal District of Russia (including the North Caucasus) in the spring of 2007. (RIA Novosti, March 7, 2006) The first Russian/Chinese joint military exercises were held only last year. Chinese security personnel—39 agents in 2005—are now receiving training in Russia (RIA Novosti, March 1, 2006). The MVD currently maintains about 25,000 troops in Chechnya, mostly in the 46th Brigade of Interior Ministry troops. Other permanently based federal units include the 42nd mechanized infantry division and about 3,000 FSB Border Guards (deployed along the border with Chechnya). Earlier this month Nurgaliyev approved the withdrawal of MVD support and logistics units from Chechnya in 2007-08. Under a plan long in development, conscripted troops will be phased out by January 1, 2007, and will be replaced with contract servicemen (ITAR-TASS, September 1, 2006). With MVD police and troops a main target of insurgents across the North Caucasus, recruitment remains a problem. Nurgaliyev admits that there were over 100 attacks on MVD forces in 2005, with 60 men killed and 120 wounded. Some 200 MVD men have been killed in Dagestan alone in the last four years (Nezavisimaya Gazeta, August 22, 2006). 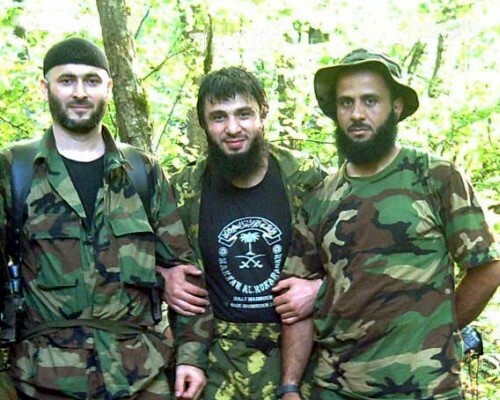 The reorganization means that the pro-Russian Chechen government of President Alu Alkhanov and Prime Minister Ramzan Kadyrov has still not been entrusted with control of counter-terrorism operations on their own territory. The two leaders are seeking the complete withdrawal of federal forces from the republic, insisting that security can be easily maintained through the four battalions of Chechen government troops. Two battalions (Vostok and Zapad) answer to the Ministry of Defence while the other two (Sever and Youg) are under Interior Ministry command. Centralizing control of counter-terrorism efforts under the MVD indicates the Kremlin’s reluctance to enhance the authority of Chechnya’s pro-Russian leadership even as they declare counter-terrorism operations are coming to an end in the republic. Dragging the Interior Ministry from its culture of institutionalized corruption will prove a formidable task. Shamyl Basayev’s terrorist operations routinely exploited this weakness in Russia’s MVD. Nurgaliyev is already believed to be on borrowed time as MVD chief after President Vladimir Putin publicly criticized the Interior Ministry for rampant corruption and inefficiency last February. Whether the often-methodical Nurgaliyev has the energy to create such a radical transformation in Russia’s security structures remains to be seen. The brutal decapitation of Khartoum newspaper editor Muhammad Taha earlier this month was part of a much larger inter-Islamic struggle reaching from the mountains of northwest Pakistan through Darfur, Tunisia, Paris and London. The murder took place against a local backdrop of street clashes between demonstrators and riot police, growing press censorship and calls from Sudan’s president Omar al-Bashir for national unity against the “threat” of UN intervention in Darfur. On the evening of September 5, 50-year-old Muhammad Taha, editor of the Islamist daily al-Wifaq, was abducted from his home by three masked assailants. His body was found in the street the next day, bound and beheaded. Taha was a member of the Sudanese Ikhwan (Muslim Brotherhood), a former member of Hassan al-Turabi’s National Islamic Front and traditionally regarded as a friend of the military/Islamist regime. Taha’s relationship with the government was actually much rockier, tested by Taha’s fondness for provocative viewpoints in both the political and religious spheres. In 2000, he survived an assassination attempt after criticizing the ruling National Congress Party, and six months ago arsonists struck al-Wifaq’s offices. Responsibility for the shocking murder was claimed in an internet statement by Abu Hafs al-Sudani, who purported to lead al-Qaeda in Sudan and Africa (al-Arabiya, September 12). Both the individual and the organization were previously unknown. 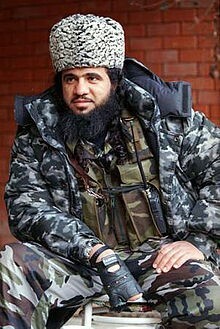 The name appears to be a variant of a name commonly used by other well-known Islamic militants, such as Abu Hafs al-Misri, Abu Hafs al-Mauritani and Abu Hafs al-Urdani. In the statement, Abu Hafs accused the editor of dishonoring the Prophet, but also referred to Taha as “a dog of dogs from the ruling party.” Abu Hafs said that the killers were safely outside of Sudan, perhaps accounting for the delay in claiming responsibility. Khartoum senior prosecutor Babekir Abdelatif downplayed the possibility of al-Qaeda involvement on September 13 (Sudan Tribune, September 13). Politicians such as Umma Party leader Mubarak al-Fadil have suggested the al-Qaeda claim was meant to deflect attention from local Sudanese Islamists. The murder would represent al-Qaeda’s first activity in Sudan since Osama bin Laden and Ayman al-Zawahiri urged their followers to attack UN forces in Darfur in an April 23 statement broadcast by al-Jazeera television. The charges of “dishonoring the Prophet” stem from an obscure anti-Islamic tract serialized in Taha’s newspaper accompanied by commentary by Taha. As the excerpts appeared, al-Wifaq‘s offices were targeted by demonstrations by the Islamist group Ansar al-Sunna. Taha was charged with the capital offense of blasphemy shortly after the articles appeared. Protestors gathered outside the courtroom daily demanding that prosecutors hand over Taha so that he could be killed immediately. In the end, Taha was fined US$ 3,200 and al-Wifaq was shut down for three months. 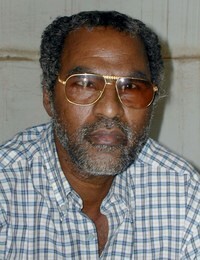 After his trial, Taha continued to irritate the government through criticism of their Darfur policy and price hikes in staples designed to cover a budget shortfall. Most media accounts of the publishing controversy and Taha’s subsequent death incorrectly maintain that the offensive work in question was authored by the famous 15th century Egyptian historian al-Maqrizi. In fact, it is a recent pro-Christian, anti-Islamic tract entitled al-Majhool fi Hayat al-Rasool (The Unknown in the Life of the Prophet), a poorly researched work whose author uses the pseudonym “Dr. Maqrizi.” The full text was made available at www.alkalema.us, a Christian Arabic website. The first chapter serialized by al-Wifaq claims that the name of the Prophet’s father was not Abdullah, but Abd al-Lat (Lat was an Arabian pagan god) and suggests that Muhammad was ineligible by his lineage to be a Prophet. During his trial, Taha maintained that his intent in serializing the work and his accompanying commentary was to refute the claims of “Dr. 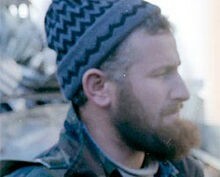 Maqrizi,” describing the charges as “a joke” and politically motivated. In the meantime, a Tunisian Islamist accused 72-year-old Paris-based Tunisian intellectual al-Afif al-Akhdar of being the anonymous “Dr. Maqrizi.” Rached Gannouchi, leader of the Islamist Harakat al-Nahda group, used the organization’s website (nahdha.net) to accuse al-Akhdar of writing the tract, reveling in his physical disabilities (“punishment from God for heresy”) and issuing a fatwa calling for al-Akhdar’s death for the offense of blasphemy. The book’s claim that the Prophet was guided by Satan and assertions of the superiority of Christianity over Islam in no way resembled al-Akhdar’s well-known intellectual and rationalist approach to Islam, a religion to which al-Akhdar remains deeply attached. Gannouchi issued his call for murder from the safety of British asylum, leaving al-Akhdar to appeal to the British justice system for Gannouchi’s prosecution. The imam was eventually compelled to withdraw the baseless accusations from the website. The cause for Gannouchi’s scurrilous attack was evident. In October 2004, al-Akhdar joined two other Arab intellectuals in petitioning the UN Security Council to create an international court capable of trying Islamist terrorists for crimes against humanity, including those “scholars of terror” who issued fatwa-s calling for murder. Gannouchi was among those cited by name in the appeal. In Sudan, eight months of relative press freedom was ended by the regime’s desire to “prevent compromising the Taha investigation.” Heavy censorship was re-imposed, especially on Arabic language newspapers like al-Wifaq, al-Sudani and al-Rai al-Shaab. The press interventions actually seem to have more to do with preventing media support for UN Security Council Resolution 1706, calling for the replacement of the African Union mission in Darfur with 20,000 UN peacekeepers and police, a measure resolutely rejected by the Sudanese government. The war in northern Darfur has intensified since the May signing of the Darfur Peace Agreement by two resistance factions. Al-Qaeda’s announced intention to intervene in Sudan has supported the government’s assertion that a UN intervention would be self-defeating by actually attracting al-Qaeda militants to Sudan. Regime members from the powerful military and security branches as well as their Janjaweed allies have little desire to see UN forces arresting war crimes suspects for trial by the International Criminal Court. In a May 2004 address in Beirut on Arab modernity, al-Akhdar’s words seemed to foretell Muhammad Taha’s fate: “The Salafi school instills in the younger generations a religious fanaticism which entails a phobia of dissimilarity and a rejection of the other, to the upper end of approving his or her execution…Muslims other than Salafis are treated as (heretics) or deviators; thus enemies. A student therefore becomes ripe for the execution of all sorts of symbolic and bloody violence; he can burn others with fire… (or) behead those who disagree with him.” Muhammad Taha’s murder remains unsolved. The success of Lebanon’s Hezbollah movement in battle against Israel’s armed forces has reminded Egyptians of their own military difficulties against Israel in three major conflicts (1948, 1967 and 1973). The Egyptian government of President Hosni Mubarak (like Jordan and Saudi Arabia) was quick to label Hezbollah’s activities as “adventurism,” but as the conflict raged on through mid-summer, popular opinion in Egypt began to rally behind Lebanon’s Arab Shiites, with many political leaders rebuking the Egyptian government for failing to support fellow Arabs. The conflict appears to have been an unwelcome surprise for Egyptian President Hosni Mubarak, who was already occupied with arranging the succession of his son, Gamal, as president, despite widespread opposition. Months before the war started, Mubarak made clear his suspicions of Arab Shiites, declaring in a television interview that their loyalties were to Iran rather than to their native states (al-Arabiya, April 8). As the battle in Lebanon continued, the government’s attitude toward Hezbollah, deeply at odds with popular opinion, began to change. Hezbollah was recognized as an integral part of the Lebanese social and political structure and the victim of a “disproportionate response” by Israel. By early August, Mubarak was denouncing Israel’s “deluded” actions in Lebanon and the “failed” Middle East policies of the United States. Forty-three year-old Gamal Mubarak is clearly being groomed for succession to the presidency, despite sullen resistance in the ruling National Democratic Party and the more vocal disapproval of the political opposition. On August 8, Gamal was a last-minute addition to an Egyptian delegation to Beirut, a move designed to give the younger Mubarak some political currency. Egypt’s peculiar election laws will ensure that there will be little opposition to a Gamal Mubarak candidacy for president in May 2007. The “fundamentalist threat” presented by the presence of the Muslim Brotherhood in the Egyptian parliament may be used to stave off international opposition to a Mubarak family succession in the presidency. After the cease-fire in Lebanon was implemented, Mubarak reminded his critics that the interests of the Egyptian state came before pan-Arab solidarity: “Some people tend to forget that safeguarding Egypt’s strength provides the greatest guarantee for Arab security and regional security” (Arabic News, August 25). The president also spoke of Egypt’s “clear and frank” support of Lebanon (rather than Hezbollah), while rejecting calls for Egypt to sever diplomatic relations with Israel. Staying well clear of providing military support to Hezbollah, Egypt offered humanitarian assistance, including a field hospital in Beirut with 50 medical personnel. Egyptian Air Force C-130s flew in medicine and food, and Egyptian Navy ships carried water and other relief supplies. Popular Egyptian support for Hezbollah would be a given, except for the traditional Sunni scorn for Shiite Islam. Egypt is the time-honored intellectual heartland of Sunni Islam (epitomized in Cairo’s al-Azhar University, the Sunni world’s preeminent theological school), but Arab nationalism is also a potent force in Egypt, and the stubborn resistance offered by Hezbollah’s small Shiite guerrilla force gained support from large parts of the population. Friday demonstrations at the al-Azhar mosque that began with the Israeli incursion into Gaza in June continued to grow through the summer. On July 14, worshippers clashed with riot police following Friday prayers, the first of several such confrontations. The message in sermons like those given by al-Azhar’s Sheikh Eid Abdulhamid was unequivocal: “God give victory to Hezbollah, and inflict defeat on the Jews” (Daily Star [Egypt], August 5). By July 21, a broad mix of Egypt’s opposition, including the Muslim Brotherhood, Nasserists and the political left, was represented in a mass protest. Proclaiming solidarity with Hamas and Hezbollah, the protesters targeted President Mubarak and his son Gamal before Egyptian security forces waded in with sticks and batons (al-Ahram Weekly, July 27-August 2). Similar demonstrations occurred in Alexandria, Assyut and elsewhere. Newspaper articles criticizing Egypt’s response to the conflict appeared daily in the once-submissive Egyptian press, and the Egyptian Press Syndicate organized a series of pro-Hezbollah events. Popular Cairo imam Safwat al-Higazi took to satellite network al-Nas to issue a fatwa calling on Muslims to kill all Jewish Israelis with firearms, knives and poison. 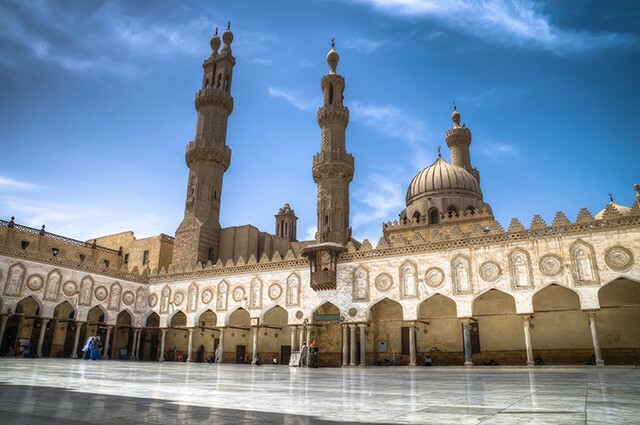 Al-Azhar responded by suspending al-Higazi from preaching at Friday prayers and issuing its own fatwa that visa-holding Israelis in Egypt could not be killed. As Egypt’s government-appointed grand mufti ‘Ali Guma’a explained, the visa amounted to an inviolable “safe-conduct” pass (al-Masri al-Yom, August 22). ‘Ali Guma’a denounced descriptions of Hezbollah “terrorism,” describing their role as simple defense of their country (MENA, July 28). The mufti praised Hezbollah for teaching the Arabs “how to fight honorably and fairly,” but also aired the old canard that Jews make matzo (unleavened bread) with human blood, describing the Israelis as “bloodsuckers” (al-Ahram, August 7). The leader of the Muslim Brotherhood, Muhammad Mahdi Akef, announced that the organization was prepared to recruit and send 10,000 members to combat Israel, hearkening back to 1947-48 when guerrilla formations of Egyptian Muslim Brothers fought in the front lines against Israel. Akef suggested that the Arab leaders were bigger threats to the Arab world than Israel, and that the Brotherhood had only refrained from killing them because they were Muslims (AFP, August 27). The Brotherhood called on all Muslims to offer material and religious support to Hezbollah, rejecting anti-Shiite statements coming from Saudi Arabia’s religious leadership. Tensions between the Brotherhood and the government were already high when the Lebanon war began. Akef denounced efforts to turn the presidency into an “inheritance,” and the Brothers were subject to mass arrests after a wave of anti-government demonstrations in March. On August 25, the secretary general of the Brotherhood, Mahmoud Ezzat, was arrested along with 16 other leading members of the organization at a meeting in Egypt’s Nile Delta region. In 2005, the Brothers ran a slate of independent candidates for election to Egypt’s parliament (the organization has been banned since 1954), taking 20% of the seats. They are now the largest single opposition bloc in the legislature and have been surprisingly effective by concentrating on human rights and corruption issues rather than religious reform. Other political movements also opposed the government’s Lebanon policy. Hamdeen Sabahy, the leader of Egypt’s small left/nationalist Karama party called for the “Arab nation” to “end the existence of Israel” (Karama [party newspaper], August 21). The secular political reform movement Kefayah (Enough) urged the government to cut Egyptian energy supplies to Israel. Given the United States’ unwavering support for Israel’s “battle against terrorism,” it is plain that Mubarak wants to avoid any action or statement that might antagonize his U.S. patrons, whose financial and military aid is essential to the survival of the regime. The Egyptian government also has serious concerns about the growing influence of Iran in the Middle East, particularly in the form of militant groups like Hezbollah, whose political unorthodoxy threatens the region’s stable (if not stagnant) Arab regimes. The emergence of a “Shiite bloc” through Iran, Iraq and Lebanon would pose a threat to Egypt’s traditional leadership role in the Muslim Middle East.